Amusement Water Park - Mobile Attraction Park Equipment , Splash Water Park Inflatable BY-AWP-049 - Guangzhou Barry Industrial Co., Ltd. Size:95″H x 13.33’W x 15.17’L. Individual weight limit: 180 lb. ; combined weight limit: 200 lb. The Aqua Sports Water Park is designed for basketball, volleyball and water polo play and features a curved water slide and a refreshing waterfall to offer even more fun in the water. 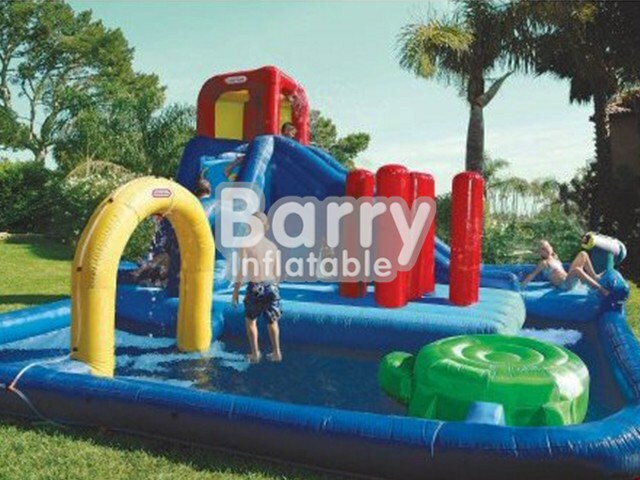 Made of 100% PVC for durability, the water park inflates quickly for easy setup. 95″H x 13.33’W x 15.17’L. 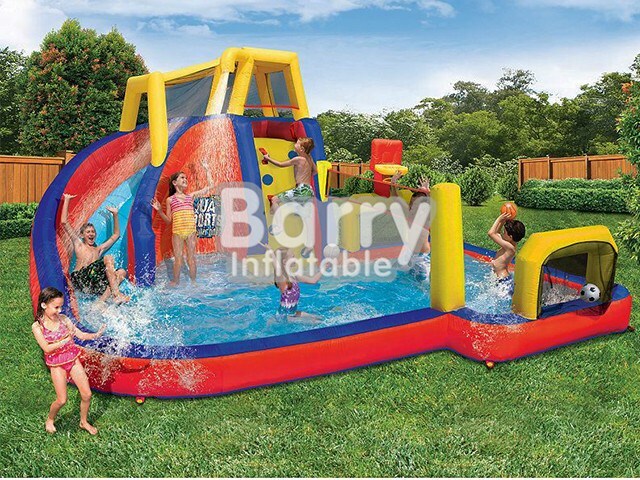 Includes a blower motor that can easily inflate the water park in as little as 3 minutes for fast setup. Q1：What's the mini size of the slide and swimming pool?